Among the most popular and important modern British composers, Gustav Holst (1874-1934) was a true eccentric, given to odd enthusiasms and mystical musings. 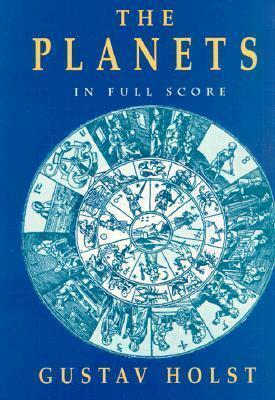 His spectacular symphonic suite The Planets, first performed in 1918, established his international reputation and remains a staple of the orchestral repertoire to this day. Scored for huge orchestral forces and a wordless chorus, the work is divided into seven movements, the music of each embodying the astrological and mystical qualities of a different planet. From the ominous, relentless march of "Mars, the Bringer of War" to the robust festivities of "Jupiter, the Bringer of Jollity" and the weird, unearthly hush of "Neptune, the Mystic," the emotional sweep and innovative techniques of the suite have delighted and thrilled its vast audience ever since its spectacular debut. Musicians and music lovers alike will want to own this authoritative, attractively published and inexpensive full score.